Since 2004 EUROPEA school FM KASZK Green VET Centre, Budapest, HU has had lots of international cooperation all over Europe. Due to the enthusiastic teachers and managers, the FM KASZK has been participating in KA02 and KA01 project for a long time. Each year they send more than 100 students and teachers all over Europe. The main fields of education of the centre are: agriculture, animal husbandry, agriculture machinery, food and meat industry, caning and preserving, forestry, forestry machinery, gardening, landscaping, land surveying. With the 1400 students they have in their 4 schools (2 in Budapest, 1 in Vác, 1 in Piliscsaba), they need to create a pleasant and an attractive institution, and the possibility for international experiences gives them a great advantage in comparison to other similar schools. Students of FM KASZK has been very successful at international and national competitions. 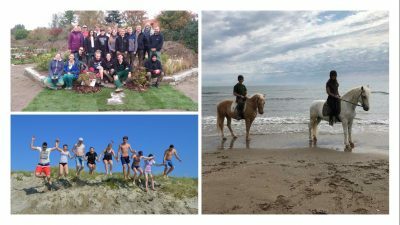 In 2016 two, and in 2017 four of their students participated at the AGROLYMPICS. Also, they often get 1-3 ranks in national competitions. The aim of their international strategy is to fulfil the needs required by the labour market, expand the intercultural knowledge of their students and staff and develop the quality of education in their 4 schools. In September 2017 they got the ERASMUS+ VET Charter from the Hungarian NA as an approval of their quality mobilities, which are realised on the basis of ECVET units. The Charter allows them to create long term international plans. Most of their partners are members of EUROPEA so, they can easily accomplish that with the help of international meetings. Their biggest partner country is Denmark with schools Green Academy, Aarhus and ZBC Roskilde. They sent 60 students for 10-week mobilities this year only to Denmark. Finland, Portugal, Spain, Luxembourg, Austria are the FM KASZK partners for the 2018/2019 academic year (with 3-week mobilities) and they also worked with colleagues from France, Germany and England last year. In the field of teacher courses and staff training they are also very successful. This school year they had 9 teachers on a one-week staff training in Denmark and 11 teachers on different courses (1-3 weeks) in other countries all over Europe. These experiences motivated many more colleagues to apply, and so FM KASZK has 35 teachers wanting to go abroad for mobilities this year. Right now, they have 1 KA02 project running, but they closed 3 in 2016 and 1 in 2017. These projects have helped to develop the quality of the education and have given great opportunities to the teachers to work with other colleagues from different countries. 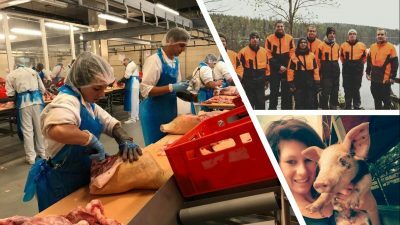 As Hungary has a lot of citizens out of its borders, FM KASZK keeps in touch with other agricultural schools in The Ukraine, Romania and Serbia. Due to a special support by the Hungarian government they can organize study trips to these countries with 24 students from Hungary and 24 students from out of border areas. This is a great opportunity for the youngsters to get to know each other’s culture, sights, schools and educational system. FM KASZK also has nice experiences with hosting students and teachers. They have come from Turkey, Germany and Spain to have their ERASMUS+ mobilities or internships at the FM KASZK schools. Overseas students are also very welcome getting to Hungary by the AIESEC organisation. These youngsters from different universities spend 6 weeks at FM KASZK schools and teach English communication to the students. With this experience the students get to know more about some far away and exotic countries and also, they can communicate with young people who cannot understand Hungarian (maybe some words at the end of the 6 weeks). AIESEC students are working with an international group: one coordinator and one-two teachers from each school to help the planning and make the communication lessons even more efficient. Next plan in the FM KASZK agenda is to gain more experience with eTwinning projects and start to work with more partners overseas as part of the international strategy. Finally, if you are hesitating to start participating in international projects don’t forget this sentence: „A goal without a plan is just a wish” – Antoine de Saint-Exupery.